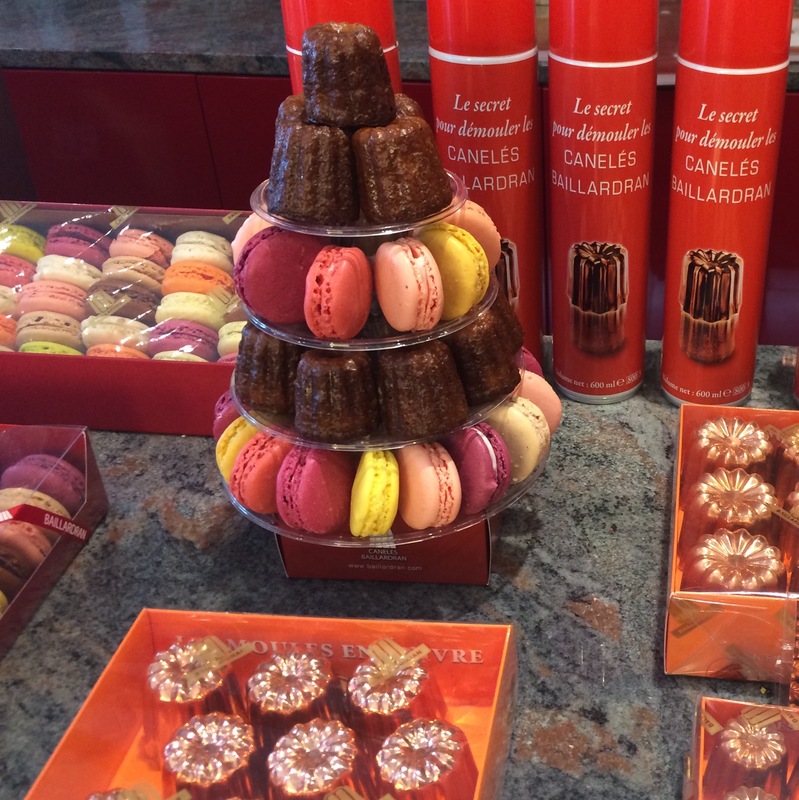 Upon my first trip to Bordeaux, I have discovered Canelés from Bordeaux at the wonderful boutique of Baillardran. Canelés are at their best when freshly made and just cooled. This recipe is for the copper molds. The silicone molds require a different recipe. To prepare molds for baking, melt the beeswax in a saucepan over low heat. Add the remaining 3/4 cup butter to the melted wax and stir until the butter is melted. Remove the mixture from the heat and, using a narrow pastry brush, carefully coat the inside of 18 (2 by 1-inch) Canelés molds. (Dedicate this brush to canneles making because the wax will get into the brush.) If the wax mixture starts to set up or thicken, return it to the heat for a moment until it thins. Place the waxed Canelés molds on a heavy baking sheet with a rim to prevent any wax and butter that melts from the molds from dripping onto the bottom of your oven and creating a fire hazard. Fill the molds 3/4 full with the batter, whisking the batter frequently and well to ensure that the sugar and flour remain evenly distributed. Bake for about 50 minutes, or until the surface of the Canelés is dark brown. Remove from the oven, being very careful not to spill any of the hot wax on yourself. (It is wise to keep children and pets out of the kitchen during this part of the process.) Using tongs or an old towel, pick up each mold and tap it upside down to remove the Canelés. If it doesn’t come out after a few taps, use a paring knife to loosen it from the sides. And…viola! Serve warm from the oven. Culinary pleasure and entertaining with friends and family, refreshes the soul, revives the spirit and makes new memories.